I have another Taylored Expressions card to share with you today. 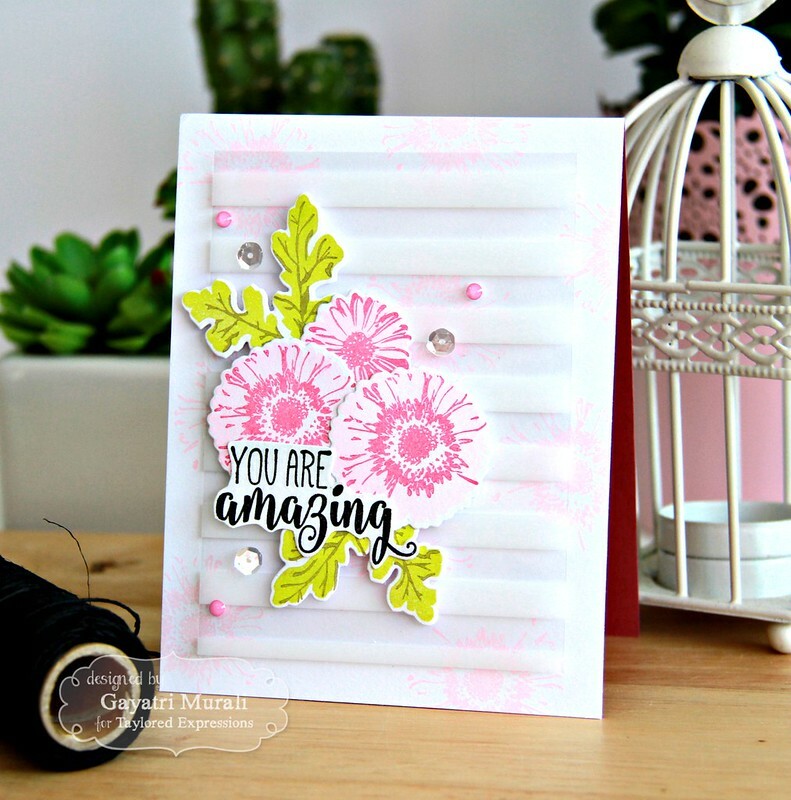 This card is made using the newly released Simply Stamped – Daisies stamp set and coordinating dies. This is a beautiful layering stamp set. I started with stamping the second layer large daisy stamp using Angel Pink Memento Ink on a white card stock panel. I then adhered this panel on to the pink card base. 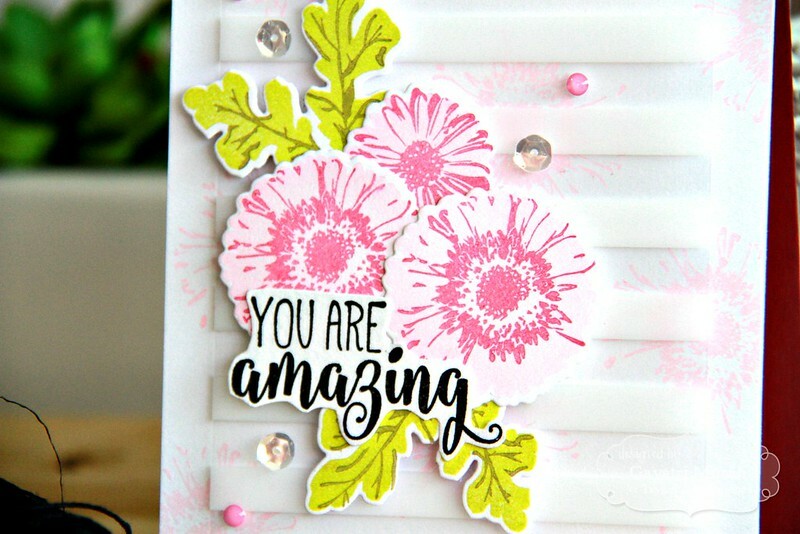 For the focal point, I stamped two large daisies and one small daisy first with Angel Pink Memento ink and when dry, I stamped the second layer with Rose Bud Memento Ink. I die cut these daisies using the coordinating Simply Stamped – Daisies dies. For the leaves, I used Pear Tart Memento ink for the base and Pistachio Memento ink for the veins. I die cut the leaves using the coordinating dies as well. On the card front, I added an acetate layer. This is a white striped acetate from We’re Memory Keepers. Then clustered the daisies and leaves and adhered on the acetate layer using foam adhesives. The sentiment is from the same stamp set. There are a few sentiment stamps in the set. Love the double font on the sentiment. I simply stamped and hand cut around the sentiment and adhered using glue. Finally, embellished with silver sequins from Build a Scene: Halloween sequins and Doodle bug’s pink sparkles enamel dots. Check out Taylored Expressions gallery for more inspirations using Simple Stamped: Daisies stamp set and coordinating die. I have listed all the products I have used to make this card below for you.